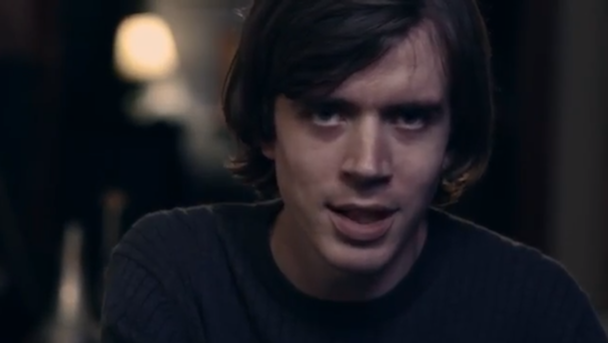 We first heard the skittering, seductive “Ghost,” the title track from Yellow Ostrich’s Barsuk-released EP, in October. Directed by Frank Larson, the song’s video focuses tight on bandleader Alex Schaaf, alternating between the singer delivering his lament in present-day and fuzzy old VHS footage capturing happier bygone times. Check it out. The Ghost EP is out now via Barsuk.